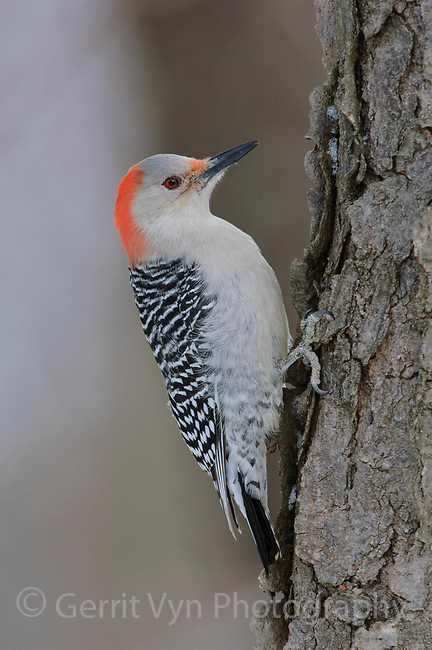 Adult female Red-bellied Woodpecker (Melanerpes carolinus). Tompkins County, New York. February.